FMGR’s insurance defense and coverage counsel are dedicated to the effective and cost-effective defense of claims, as well as the litigation of coverage issues in matters which require interpretations of rights and duties under policy provisions. FMGR’s insurance defense and coverage counsel apply their knowledge in multiple areas of law to your defense against claims. Whether your representation involves a first-party claim or a matter of complex multi-party litigation with multiple or layered coverages, insurance claims management is best accomplished when all legal and practical aspects of a claim are fully analyzed and strategically considered. FMGR’s insurance defense and coverage counsel know that our clients are best represented when fully advised as to the potential for successful legal defenses to each claim. We recognize that each claim is unique, and routinely analyze claims under contract law, statutory and regulatory insurance law, the substantive law underlying all claims, and public policy. For claims which survive our scrutiny for legal defenses, FMGR insurance defense counsel analyze potential allocations of damages – such as for comparative negligence, contribution, indemnification, subrogation, or setoffs, as soon as those are determined. These analyses encompass practical considerations in pursuit of your interests, as well as legal strategy. Finally, FMGR insurance defense counsel focus on limiting exposure from unwarranted damages and frivolous claims. 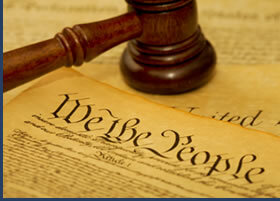 Every case is thoroughly prepared toward trial or arbitration, as appropriate. FMGR’s reputation for thorough preparation and effective trial technique fosters effective negotiations. Where negotiations do not resolve matters in dispute, or are not warranted, FMGR’s insurance defense and coverage counsel are skilled litigators, working on your behalf. FMGR’s in-house appellate practice specialists provide the additional benefit of continuity in representation for those cases warranting appellate or supreme court review. Whether you require the defense of claims or the litigation of coverage issues, FMGR’s insurance defense and coverage counsel stand ready to apply our combined expertise to your effective representation.